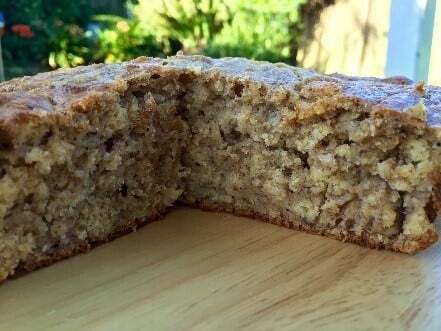 School is in session, and if the daily grind is leaving you exhausted and uninspired, use the weekend to whip up this banana bread which is a shorcut to easy healthy eating from Karina Savage. It can be tough to find the energy or ingredients to make or cook some of the healthy snack recipes that are out there for our kids. But if you’re keen on an easy and wholesome snack you can keep on hand for lunchboxes, after-school snacks or even a last-minute breakfast for laterunning mornings, this Smartbite Banana Bread is low GI for long-lasting energy and it also gives them plenty of other nutrition as well to supercharge their insides. Let’s start with the ingredients and what they provide nutritionally. The wholemeal flour provides valuable fibre (prebiotics) and B group vitamins and minerals including iron, zinc and magnesium. You can find more lunchbox ideas for kids here. Karina is a local North Shore mum of two young children. She truly gets how busy life can be with little ones and believes that we need to make time to slow down and support each other more. She finds great satisfaction in empowering fellow mums, arming them with the information they need to make their life easier. As a Paediatric Dietitian, specialised in gut health she loves changing the lives of little ones with tummy troubles (allergy, intolerance, IBS, colic) and relieving the stress that goes with it. She loves speaking with others and regularly presents to parents, schools and health professionals. As a huge animal lover, Karina regularly donates to animal charities that rally to give animals a voice. ← Previous Story Which bread is REALLY the healthiest choice? 20 tips to create a hopping great Easter egg hunt!